Brain banks form an increasingly important resource for research. In view of declining autopsy rates, brain banks are also gaining importance for medical diagnostics, quality control and teaching. In the case of neurodegenerative diseases, brain banks have become drivers of discovery and are yielding invaluable taxonomic references for neuropathologists. This article provides comments on two recent landmark papers in the field (Bell JE et al. Acta Neuropathol 2008. doi:10.1007/s00401-008-0358-8; Vonsattel JP et al. 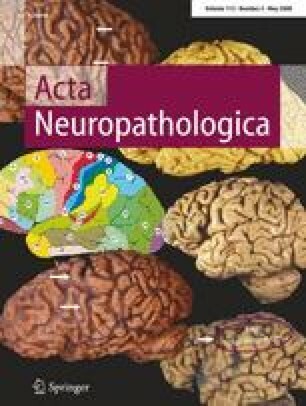 Acta Neuropathol 2008. doi:10.1007/s00401-007-0311-9). Professionalisation of brain banking standards, ethical principles safeguarding the running of a brain bank and a proposed code of conduct for brain bank staff are outlined and discussed. Special emphasis is placed on the need to enable sustainability of the human brain tissue resource in the face of increased financial pressures on medical institutions and raised public expectations towards ethical human brain banking in a globalised economic environment. It is proposed that brain banks undergo rigorous international audit as a prerequisite for their registration with the relevant national neuropathological society. This promises to be an important safeguard so that proper standards can be assured when tissue is handed out to commercial companies. Honesty, accountability and complete transparency are mandatory to allow long-lasting success of the brain banking operation by guaranteeing that the best possible use is made of the tissue. Preferred access by private tissue users must be avoided and money must never be allowed to buy access to a brain bank. Since brain banks operate internationally, any mistake made may be felt around the globe and could endanger the public’s willingness to donate brains for research. The much-needed increase in the number of control brain donations will only be achievable if broad-based support from the general public can be won and maintained. This article is dedicated to the brain donors and their families who entrust medical scientists with their precious gift as well as the patient organisations and charities who take forward the idea. I would like to thank the excellent staff in the former University Department of Neuropathology, Imperial College London and Hammersmith Hospitals Trust, which I had founded on 3 January 2000 and which I decided to close down on 11 June 2007. In particular, I would like to thank Dr. Ronald K.B. Pearce, Clinical Director of the UK Parkinson’s Disease Society Brain Bank, Dr. Linda B. Moran and Dr. Dawn C. Duke. BUG is also gratefully acknowledged.